One very cool feature of the Honor 7 smartphone is that all these capabilities can be unlocked by using smart buttons and a gesture-enabled fingerprint reader. 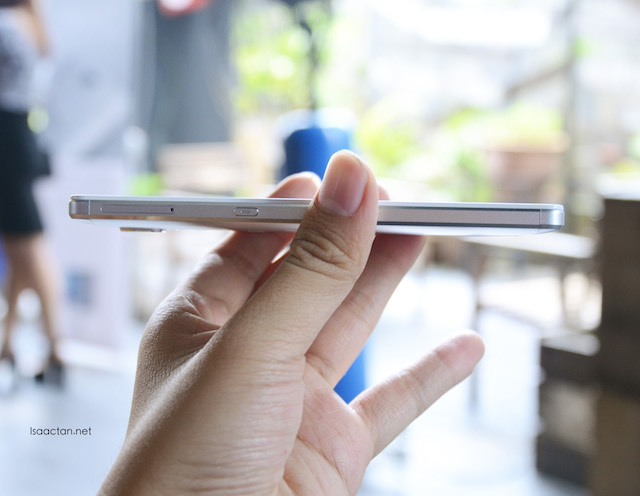 My first impression on holding and feeling the device was that it had a really solid feel to it. The form factor isn't much to shout about though, but the colours when switched on came out vibrant and vivid. 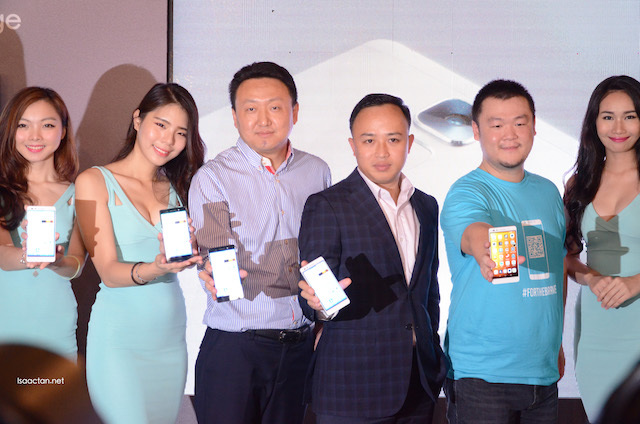 Speaking at the launch, Allen An, Director of E-Commerce South Pacific said: " Developed to make operating it as simple as possible, the honor 7's solid performance will be a true reflection of the user's identity. Its multi functionality enables young working adults to outperform their peers no matter at work or leisure. Its smart and multimedia capabilities will also inspire action and creativity that will surprise everyone else in their circles"
The device itself came in precise dimensions and metallic finish to offer an optimal form factor along with a premium feel. Touted to be highly reliable, Allen An added that all of these will allow the users to keep their competitive edge in today's fast paced society. 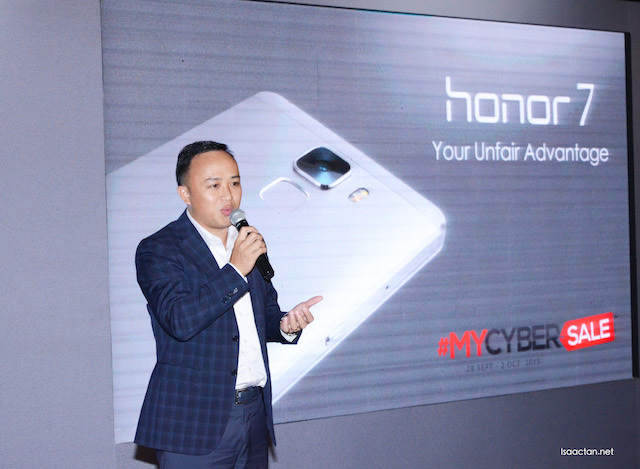 Established in April 2004, the honor Malaysia series strives to unleash the maximum potentials of Malaysians and help them to discover their best self beyond any expectation by brining revolutionary devices to the market. In line of this pursuit, it constantly seek feedback from its users, of which will be put to good use in the development of their upcoming products. The honor 7's fully metallic body is air-brushed with a ceramic coating, offering an unmistakably premium finish. The device's ergonomic 5.2 inch encasing and carefully positioned buttons and sensors meanwhile allows for ergonomic single-handed operation like never before. Included in the smartphone is a frame-free metallic fingerprint reader which allows for rapid 360-degree fingerprint authentication from various angles, and even boasts a self-leaning capability that allows scanning accuracy to be enhanced through the subtle re-recodring of registered fingerprints during use. 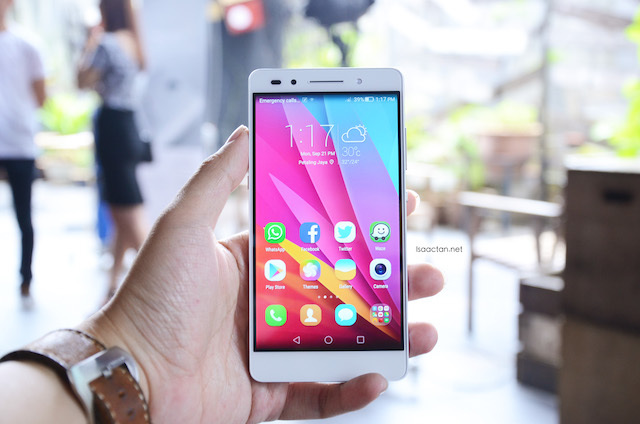 Powered by HiSilicon octa-core Kirin 935 processor with its A53 and punchy 3GB RAM and 16GB ROM offering, the honor 7 has the muscle to offer consistently smooth performance. When it comes to connectivity, Huawei's Signal+ technology and a smart dual-antenna design allows for the networks with stronger signals to be found at 80 times the average speed of similar devices. Inside, the 3100 mAg battery is pretty awesome, offering exceptional standby and use times as well as reverse and quick charging capabilities. 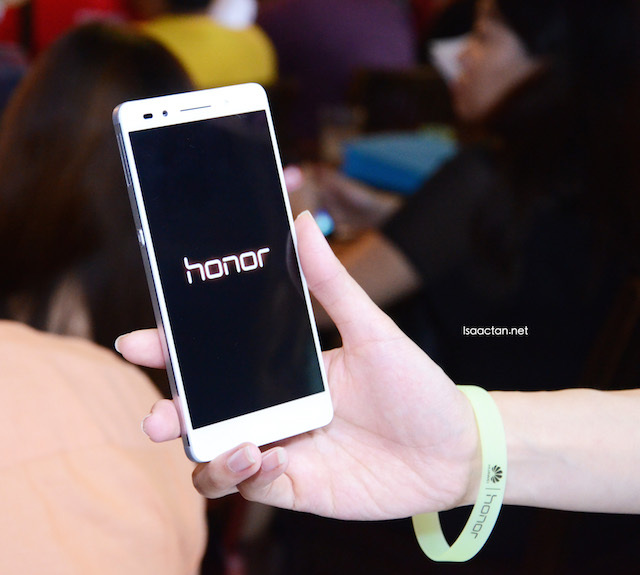 The honor 7 comes with a 20MP rear-facing camera powered by a Sony IMX 230 sensor and honor's PDAF fast focusing technology that allows its f/2.0 aperture lens to capture strikingly vivid low-light condition images. The 8MP front facing camera allows for pretty awesome selfies and wefies. Built to redefine mobile Internet experiences, the honor 7 offers exceptional smart capabilities aided in part by its smart key, an additional button placed on the left side of the device that can be used for snappy Google searches on-the-go. The device features various voice capabilities too, including the ability to take screenshots with its knuckle-tap feature that allows users to tap the screen twice with their knuckles for an instant full-screen capture. 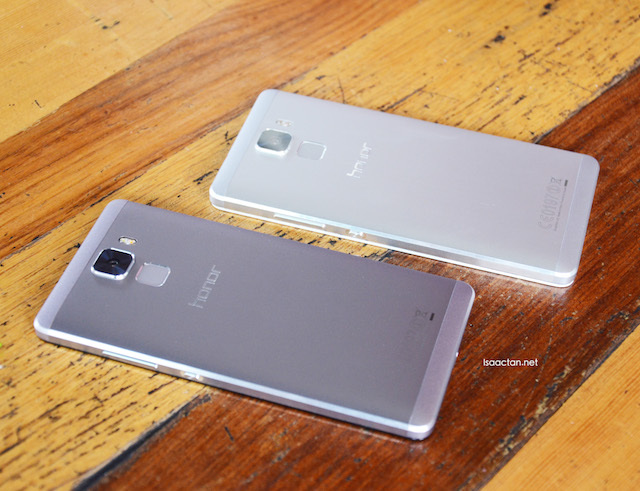 Huawei's honor 7 will be available in two colours, Mystery Gray and Fantasy Silver for RM1,399. Pre-orders were made available to the public at Vmall.my from September 21st 2015 onwards. For more information do visit their website at www.vmall.my today. I use their wireless modem, I guess everyone does. wow this look so nice. We can't have enough of gadgets and phones. Shall save money for this. I like Honor phones but I am waiting for Huawei them to switch their Back button to the right side. That's my pet peeve! I heard this phone is good and worth for money. 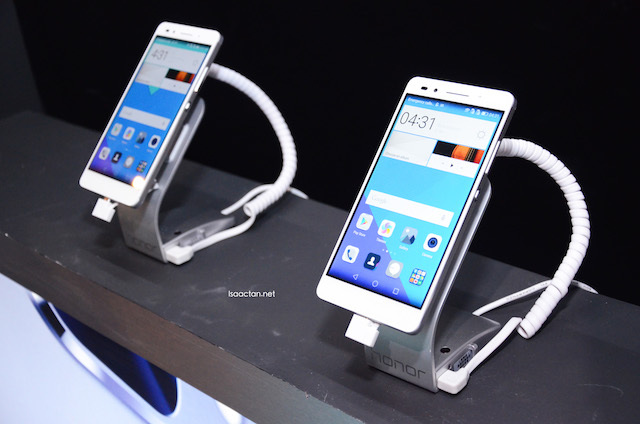 Honor 7 smartphone , seem like one of good choice!! the price not too expensive, considering the 20MP front camera. 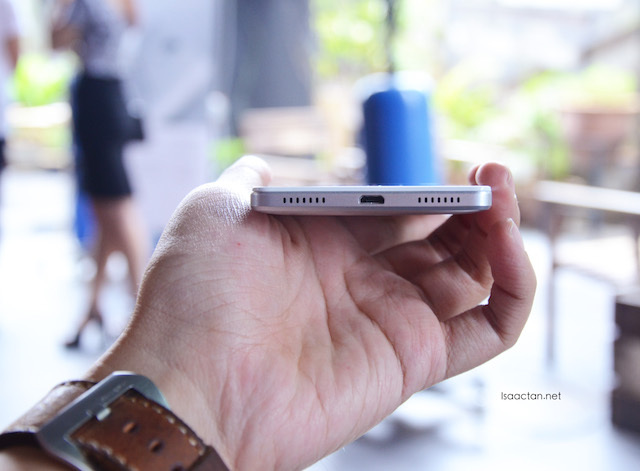 and the stylish design is really a plus point, but the hp so thin, would it be hotter earsier? all these phones are looking better and better eh, who needs an expensive phone nowadays haha. Eh...the lenglui looks so cute in the pastel baju. I want that more than the phone. Whwhahahaaaa. Time for new phone :) Interesting and detail write up! My friend recommended this to me. I am looking for a phone that would be able to take great photos. I wonder if this is actually any good. Totally signed up to your blog :) great review! As a brand Huawei is gaining more and more worldwide popularity. but I think the "China Apple" Xioami has more brand value.